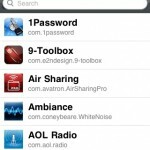 There are certain apps on the iPhone that require a WiFi connection to work. 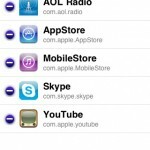 Such apps include Skype, SlingPlayer, AOL Radio, YouTube (for high quality videos), and the App Store/iTunes (for downloads over 10MB). How does one get around this limitation? Easy. 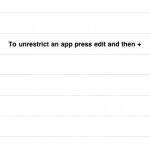 You’ll have to jailbreak your iPhone and get access to 3rd party apps, such as VoIPover3G. This little hack enabled us to use Skype and SlingPlayer over 3G! 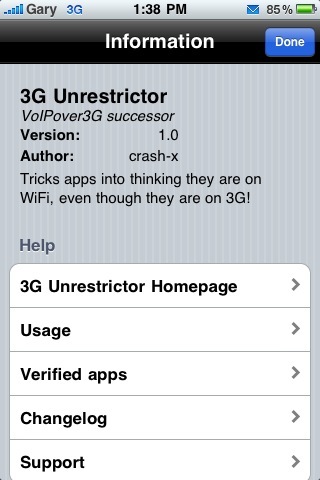 However, with the new iPhone 3GS, VoIPover3G is not compatible. So that means for iPhone 3GS users, we were out of luck until the update was released. 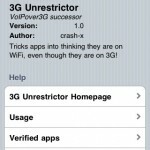 Turns out the creator of VoIPover3G, crashx, was working on a new version called 3G Unrestrictor for the iPhone 3GS. 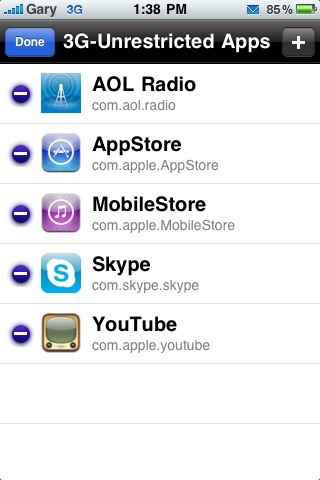 However, this time the app would cost $2 via the Cydia Store. Since I use Skype over 3G frequently, I decided to take the $2 plunge (yes, I know, big spender!). There are two ways to pay: PayPal or Amazon Payments. Also, you login using Facebook Connect or Google which will save your purchase history should you format your iPhone. I logged in with my Facebook credentials and paid afterwards using PayPal. Total came to $2.25US. 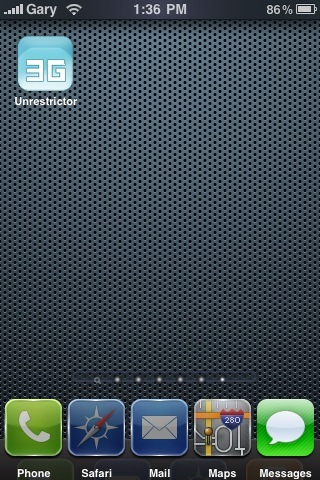 After that, I went back to the 3G Unrestrictor page in Cydia and installed the app. That was very easy! Using 3G Unrestrictor was equally as easy. 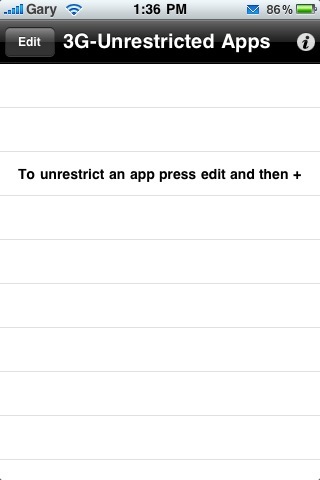 Launch the app via your homescreen, click Edit, click the “+” signa and you’ll see a list of apps on your iPhone. Just select the ones you want to use over 3G and voila–you’re done! Take a look at my pictures below to see how simple it is to use this app. I tested a call using Skype over 3G and it worked perfectly. I did a search on YouTube for high quality videos and immediately I was blessed with WiFi quality videos over 3G! 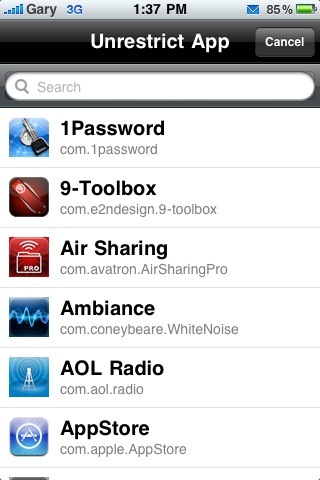 This little tweak is definitely worth the money if you’re tired of apps limiting you to WiFi and want an easy GUI. 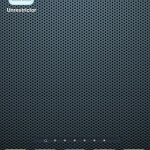 3G Unrestrictor is available in Cydia, just use the search to find it. 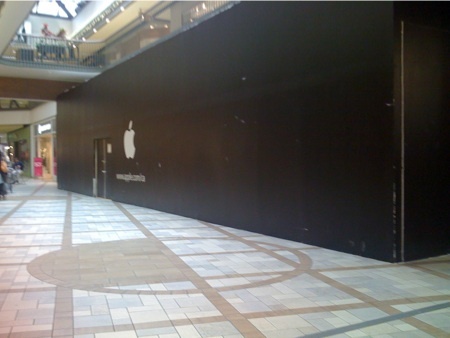 Apple Store, Rideau (Ottawa) Opens Today–Get a Free Tshirt!